Temperatures may be in the 30s in London (brrr!) 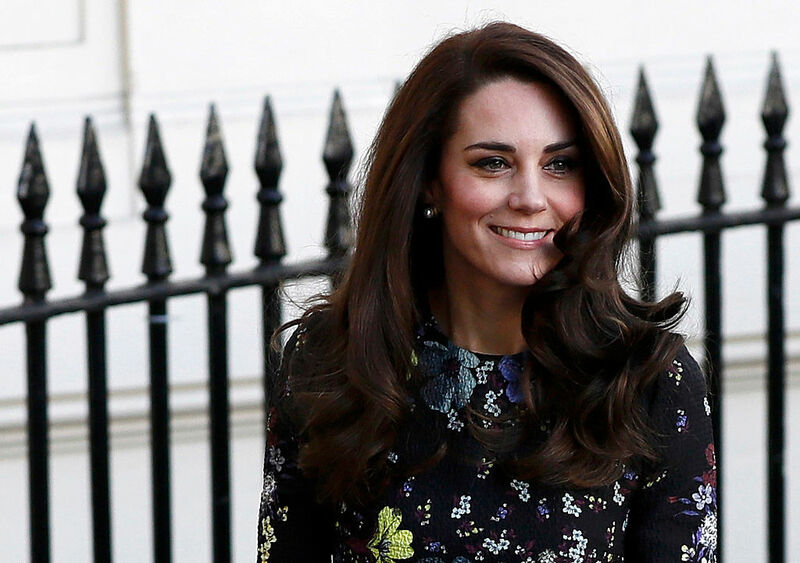 but that didn’t stop Kate Middleton from donning a spring-inspired floral dress on Tuesday — and she looked great doing it. Wearing the Evita floral jacquard dress from London-based designer Erdem’s pre-fall 2016 collection, the ever-stylish Duchess of Cambridge gave new meaning to the term “winter florals,” and is inspiring us to put down our all-black outfits and take our cold-weather fashion into uncharted territory. Pairing the long-sleeve, above-the-knee dress with a beloved pair of pumps — the burgundy Tod’s heels she wore last month to a Christmas Day church service in Bucklebury, Berkshire — Kate’s outfit (and smile!) gave us truly warm feelings. But that blowout, though! OK, now back to the dress. The exquisite frock is currently sold out everywhere — boo! 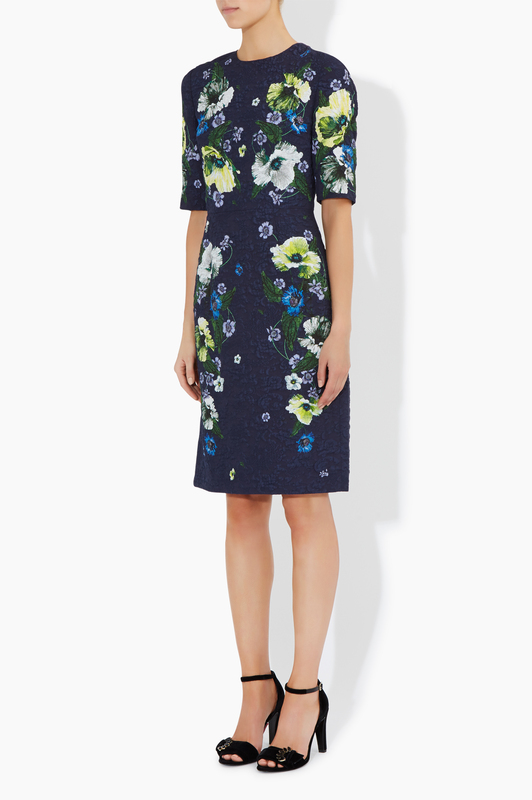 — but Erdem does make a similar dress with elbow-length sleeves and a slightly remixed floral pattern. Get it here for about $1,300. Kate was joined by her husband, Prince William, and her brother-in-law, Prince Harry, on Tuesday to announce the launch of new programs through their mental health charity, Heads Together. At the event, the royals spoke about why ending mental health stigma and broadening access to support resources is so critical. “William, Harry and I have been very privileged to witness, in the course of our work, countless examples of simple conversations that have changed lives, which were the first step on a path to recovery,” said Kate. "Just last week at the Anna Freud Centre, I heard from one mother how talking to a support worker was — in her words — 'like medicine.' 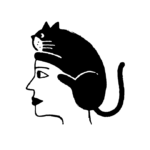 Simply by having someone there to have a conversation with helped her immensely." The charity works with established local groups to gather funds and raise awareness about the real challenges posed by mental illness. The royals’ goal this year is to get more people talking about mental health and mental illness to end stigma and the “Keep Quiet and Carry On” ethos (in the words of Prince William) that has dominated the culture in the U.K. Important work, indeed!